Moscow, Dec 23 (Prensa Latina) Patriarch Kirill of the Russian Orthodox Church, deplored today the attacks and illegal occupations of churches in Ukraine by ultranationalists and urged for the unifying role of the religious hierarchy towards national unity. His Holiness expressed his concern about the incidents in the Orthodox church, belonging to the Muscovite Patriarchate, in the Ukrainian village of Ptichiya, where armed people from the Right Sector party threw homemade bombs, and sectarian groups attacked worshipers with sticks and stones. In this conflict of interest are included the Kiev Patriarchate of the Ukrainian Orthodox Church, the Ukrainian Autocephalous Orthodox Church and the Ukrainian Greek-Catholic Church, backed by ultra-nationalist and anti-Russian political sectors. Patriarch Kirill said that at the present time, with visible social fragmentation and struggle for power, the Ukrainian Orthodox Church is the only force that can unite the people, from north to south and from east to west. 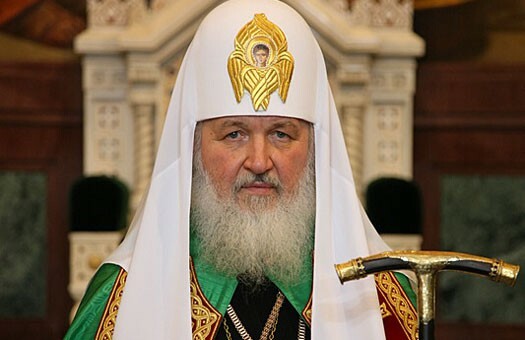 Patriarch Kirill warned that this policy of attacks against the Church and the believers encourages divisions among the Ukrainian people and His Holiness regretted that the internal forces are not working to achieve unity and reconciliation. Deacon Fedor Shulga, from the Muscovite Patriarchate, denounced this week the attempts by the Kiev authorities to involve the Church in the internal political conflict through manipulation of religious organizations. ‘This way private political tasks will be solved, but Ukraine’s unity will be lost’, warned Deacon Fedor Shulga during a panel at the Civic Chamber of the Russian Federation. In the rebel regions of Donetsk and Lugansk nine Orthodox churches were destroyed in 2014. Other 77 were partially destroyed. In 2015 six more were destroyed and more than 30 were occupied by force. Three priests were killed and four were wounded due to the conflict.